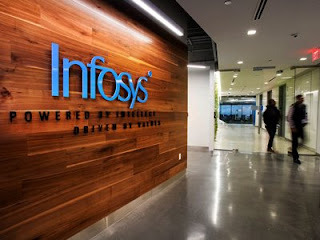 Information technology outsourcing company Infosys announced that it will build a campus in Indianapolis to continue an expansion in the US that is expected to provide up to 3,000 jobs for the city in the coming years. Infosys president Ravi Kumar said the Bangalore-based firm will start the $245 million, 141-acre campus project by building a $35 million training centre at the now-vacant site of the former Indianapolis International Airport terminal. He said the centre will be a tech hub that teaches its American worker's computer science skills such as big data and cloud technology. Its employees will include engineers, developers, analysts, architects and technology consultants. The state and the city are offering as much as $101.8 million in incentives and subsidies for the project, according to the Indiana Economic Development. "This is a powerful partnership. It's going to change the way we do business," Governor Eric Holcomb said during the announcement event with US Vice-President Mike Pence. But the partnership with Infosys has drawn some doubts from experts due to the generous $31 million in conditional tax credits and training grants promised last May. A year ago, the company revealed its plan for establishing an Indianapolis tech centre with 2,000 employees by the end of 2021, the first among its four planned hubs in the US. Now that the plan has gone bigger - with 3,000 Indiana jobs by 2023 - the overall financial incentives from the state are expected to be worth as much as nearly $34,000 per worker hired. Holcomb said the new tech centre will cultivate a "unique, vibrant, high-tech ecosystem" that is feeding off the colleges and universities within the state while building the best tech hub in the Midwest. Kumar echoed the idea, saying that the talent pool in Indiana is one of the biggest reasons that attracted the company to come to the state. He downplayed the tax incentives during the decision-making. Infosys, which employs more than 200,000 workers worldwide, was under the spotlight last year as President Donald Trump targeted the American H-1B visa program that tech companies have heavily relied upon to temporarily bring in workers from other countries at lower wages. Critics allege the program allows companies to replace American workers but tech companies say it allows them to bring in needed talent. The company said the Trump administration's focus on visa program didn't affect its decision to expand the US operations.